John Tramazzo author of Bourbon and Bullets: True Stories of Whiskey, War, and Military Service and the face behind the glass at Bourbon Scout is pairing up with us to host a special evening at Mid Pines Inn and Golf Club. 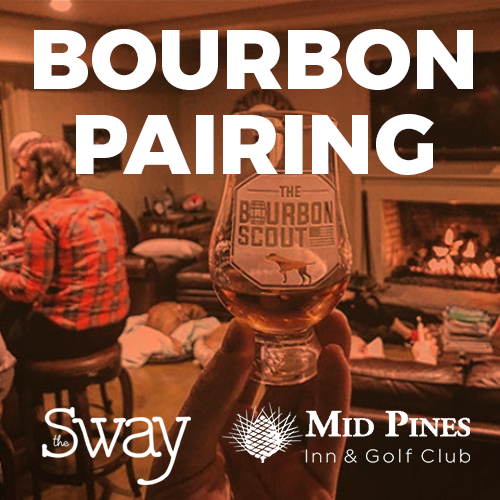 Ticket includes: whiskey tasting, food pairing, taxes and gratuities - the perfect gift for your favorite Bourbon buddy, Valentine, Classy girls night out, or surprise your husband with the ideal date night. Party until morning and add an overnight stay at Mid Pines for just $99 (+ tax). It is Valentine's weekend after all! For reservations, please call 800.323.2114 and mention that you will be attending the Bourbon Pairing event to secure your special rate.